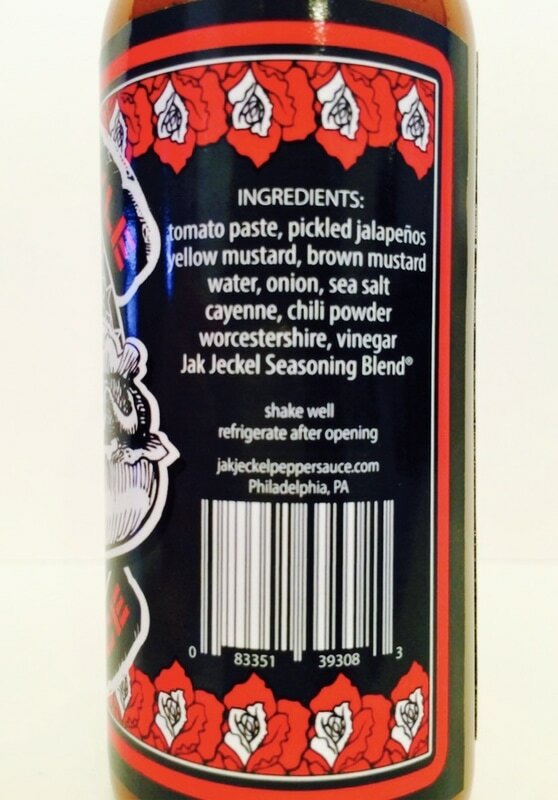 Jak Jeckel Pepper Sauce is a gourmet pepper sauce manufacturer based in the foodie city of Philadelphia, Pennsylvania. Co-owners Aaron Mulka and Christopher Bower started the company in 2013 with the sole purpose of creating rich, flavorful, complex, gourmet pepper sauces. Working with the belief of FLAVOR FIRST rather than blistering heat, Jak Jeckel pepper sauces are developed to enhance a foods flavor profile and give greater depth to your favorite dishes. 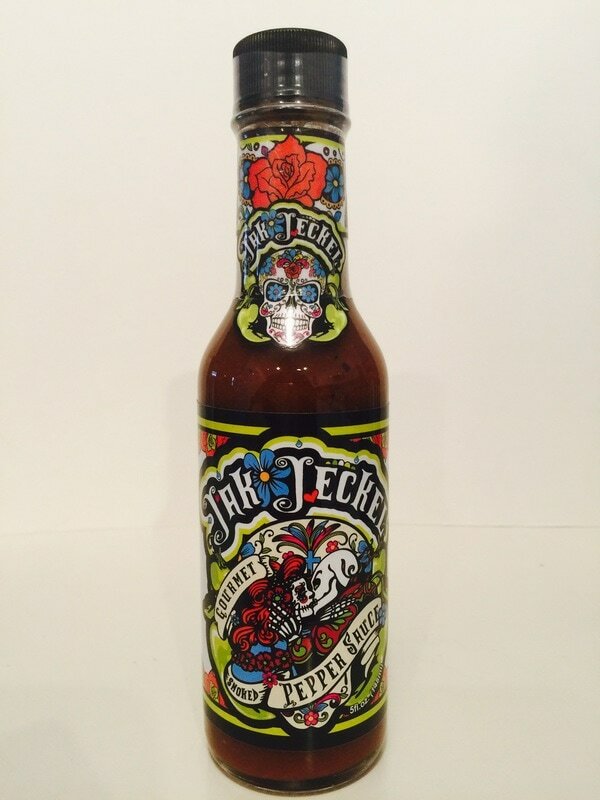 Jak Jeckel Pepper Sauce pushes past “the norm” with each of their flavor creations, offering sauces that give you more than hot peppers and vinegar. They offer a range of robust complex sauces that do NOT contain vinegar so that the consumer can taste the rich full flavor of the gourmet peppers and spices with each bite. Their unique non-vinegar approach separates Jak Jeckel Pepper Sauce from the crowd of “hot sauces” and provides a true gourmet food-enhancing experience. 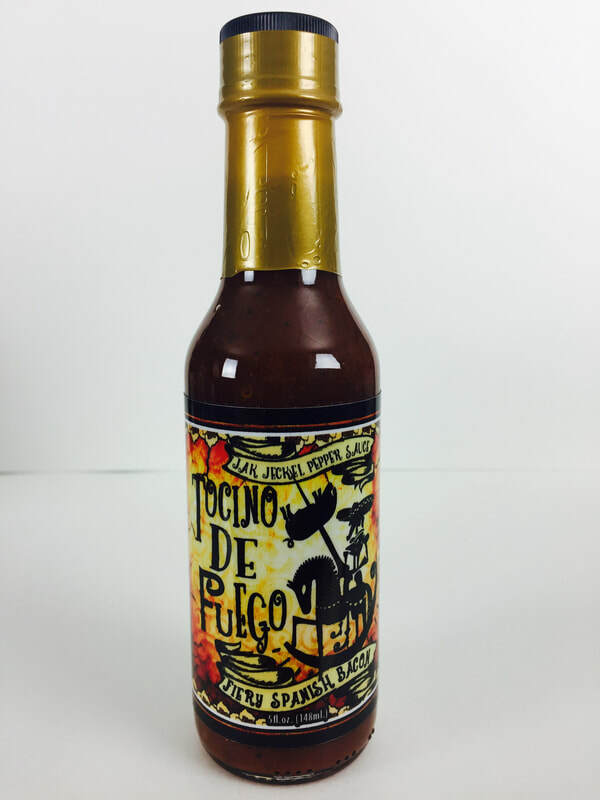 TOCINO DE FUEGO from JAK JECKEL.. Tocino De Fuego is a spicy bacon flavored sauce with a great smokey flavor. You will get the burn from habanero and lots of black pepper. The other ingredients of paprika, ham flavoring, cane vinegar, onion, rosemary and spices, all work together to bring a medley of fiery bacon, and who doesn't love bacon. This is the sauce that everyone has been talking about being a flavor bomb with the addition of SoCals Guac Avocado sauce. I'm sure you will love the combination too. 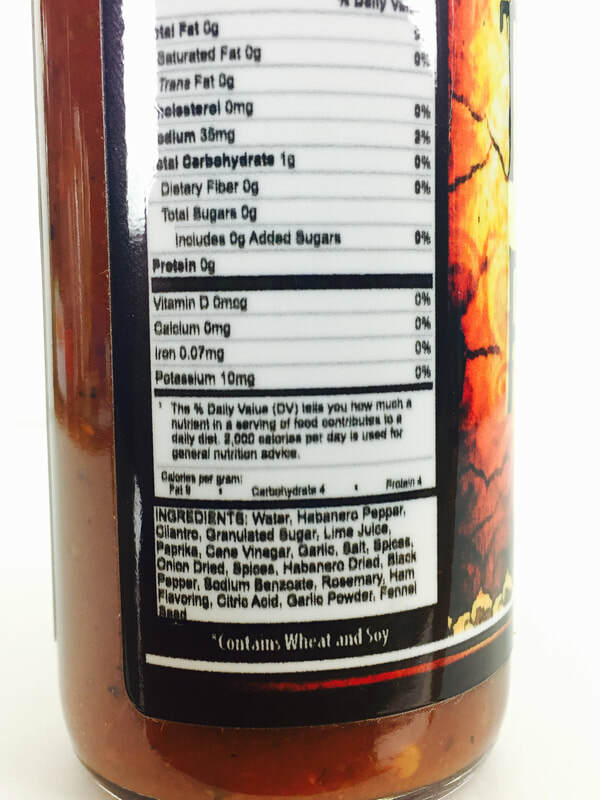 This sauce goes great on anything that you would love the flavor of bacon added to. 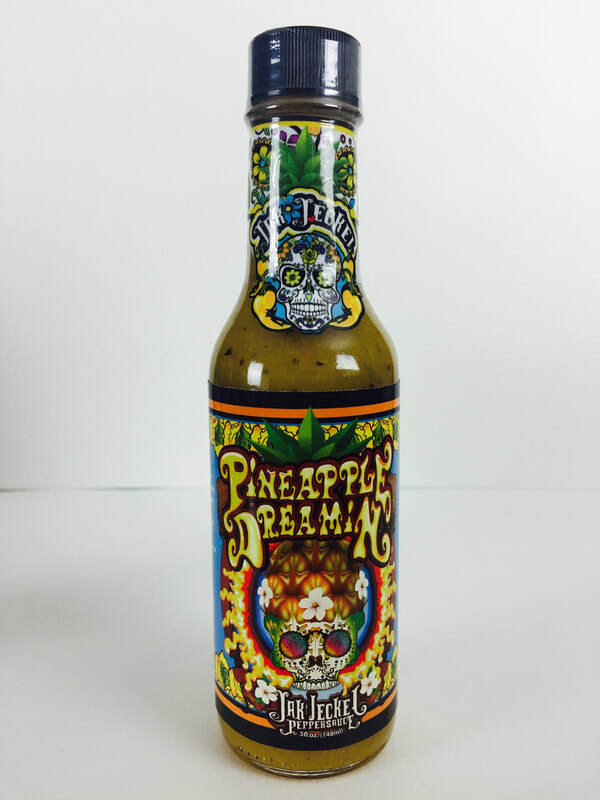 PINEAPPLE DREAMIN from JAK JECKEL.. Pineapple Dreamin will take your taste buds on a magical ride of flavor. 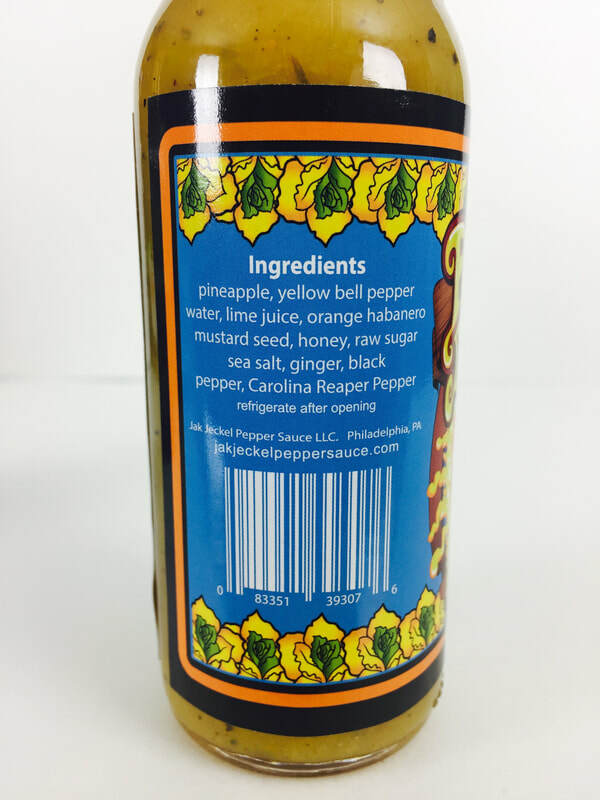 The subtle flavor of pineapple is accompanied by yellow bell pepper, lime juice, orange habanero, mustard seed, honey, raw sugar, ginger, salt, pepper and the Carolina reaper. 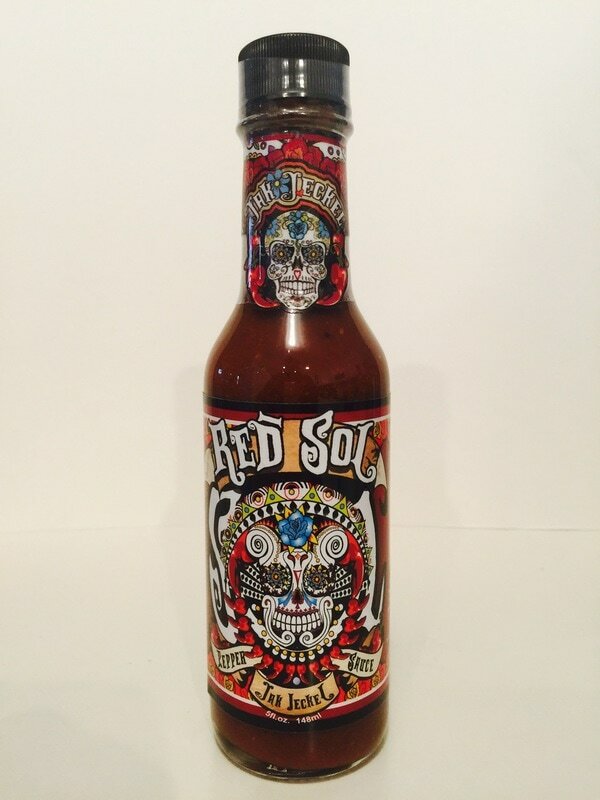 You would think this a super hot sauce with the addition of the reaper, but its very mild on heat. The ginger and mustard seed bringing out an earthy flavor that enhances the pineapple and helps balance out the acidic tang that the pineapple would bring. 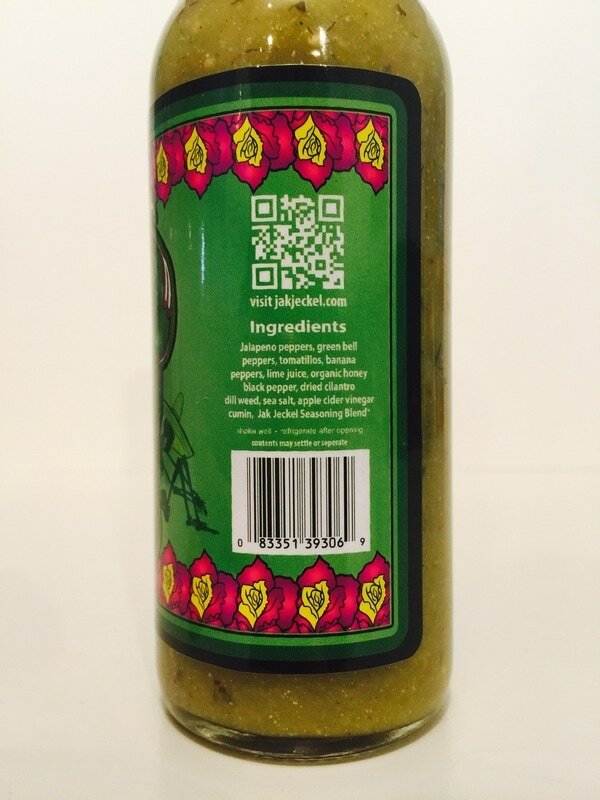 Just like other Jak Jeckel hot sauces this one does not include vinegar, instead it uses lime juice. This has a very unique and amazing taste with just a hint of sweetness that works great on pork, chicken, added to soups, used as a marinade and so much more. GREEN SAUCE from JAK JECKEL.. Green Sauce has a nice citrus tang with jalapeno, green bell and banana peppers and a little black pepper. 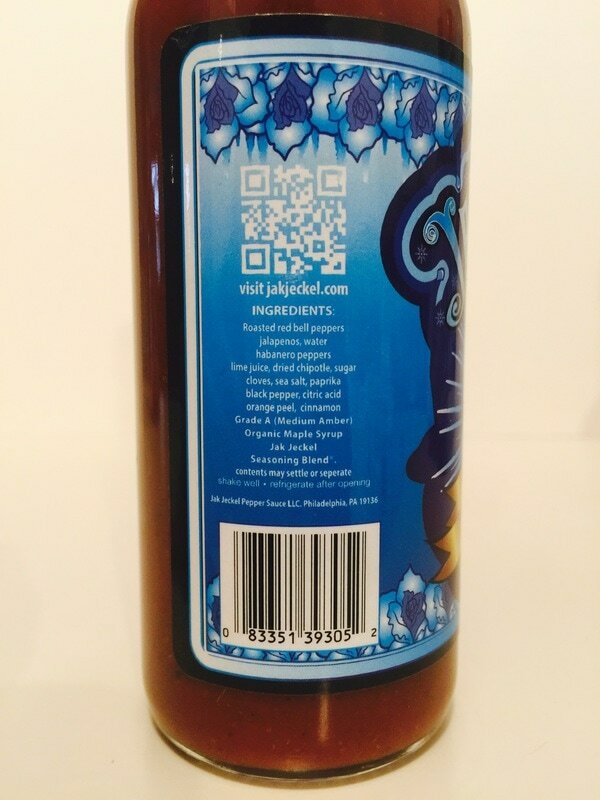 You'll also find tomatillos, cilantro, a hint of dill weed, apple cider vinegar, cumin and Jak Jeckel seasoning blend. The flavor is a fresh verde style with a Jak Jeckel twist. Its a thick, chunky sauce like a salsa, so you can use it as a dip, marinade or just pour it on your food. We found this makes an excellent sauce to mix with mayo for a unique tartar for fish or seafood tacos. RED GRAMS BUTTERSCOTCH MUSTARD from JAK JECKEL.. What a wild ride of flavor coming from both brown and yellow mustard seed, sweet butterscotch and a bit of raspberry. At first taste I was a little taken back by its unusual flavoring profile. But the more I used it, I found the brilliance of this sauce shined through. The heat comes from jalapeño, cayenne pepper and garlic. 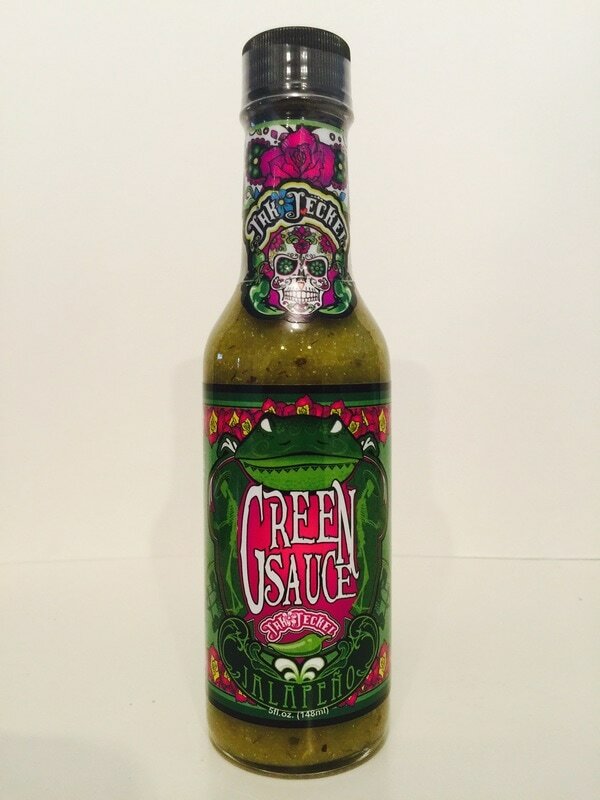 I used this on fish tacos to add a great pop of flavor. This sauce would be amazing on all kinds of foods from red meat to seafood, mixed with vinegar to make an awesome salad dressing and so much more. 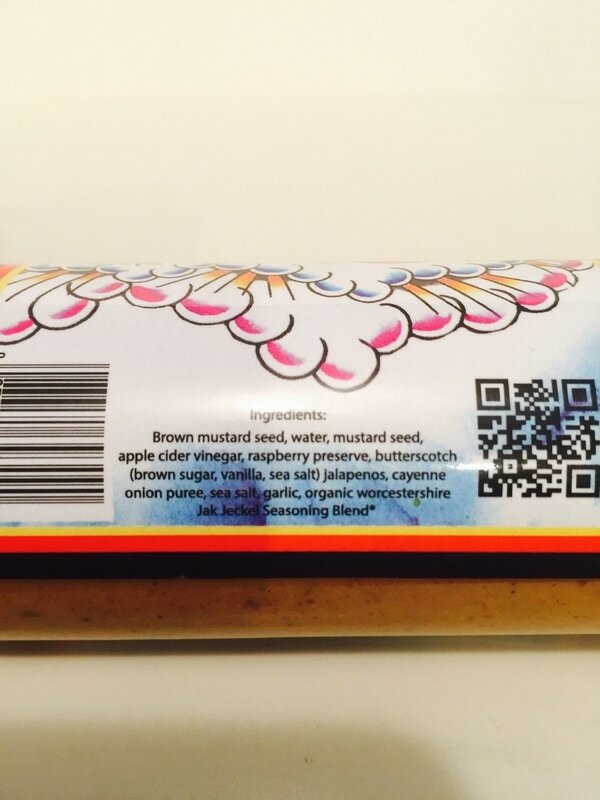 Use this where you would usually use a mustard. RED SOL from JAK JECKEL.. 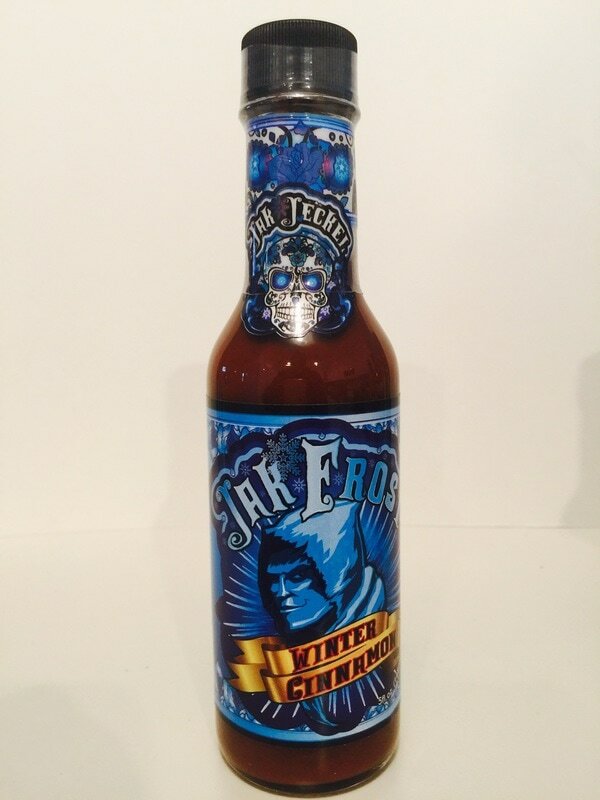 Right from the first taste you get the smokiness for the roasted red and chipotle peppers, then you get the well known Jak Jeckel seasoning blend you find in all of their sauces. The blending of all the ingredients works so well together to bring you a great pepper flavor that you can add to a wide variety of foods. One thing about RED SOL is that there is no vinegar in this sauce. In stead they have replaced it with lime juice and by doing so, it still brings that tangy flavor but with a citrus twist. 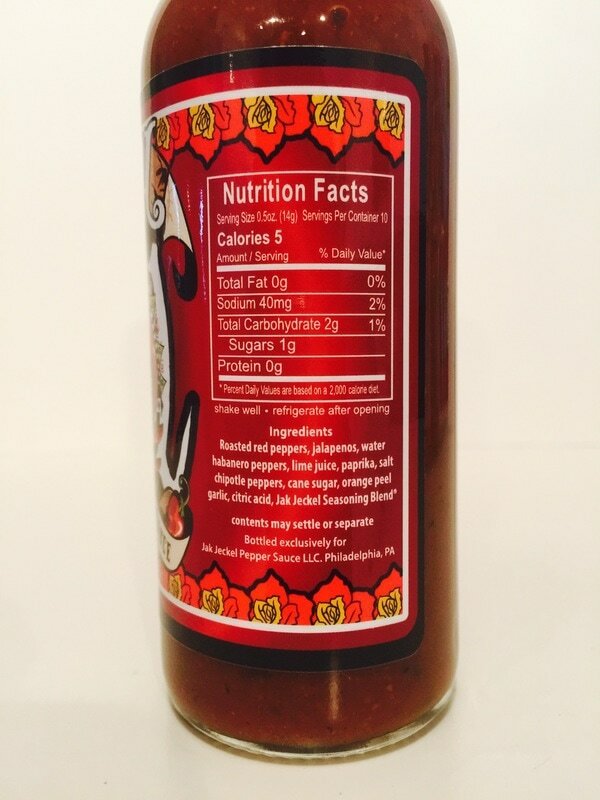 This would be a great table sauce to keep on hand for all your foods. You really need to try mixing this with hamburger and then grill. It gave my burger that little extra spice and deliciousness to make it pop! JAK FROST WINTER CINNAMON from JAK JECKEL.. This sauce starts out very similar to their GOURMET PEPPER SAUCE in flavor, but with the addition of cinnamon and bacon-maple syrup. ( No actual bacon or meat products are used in any of their sauces.) 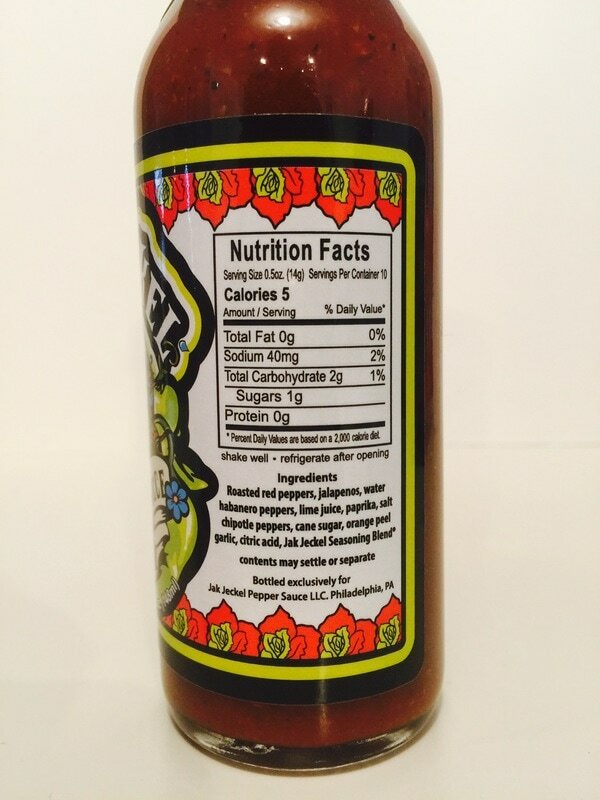 Do not confuse this sauce as being a sweet hot sauce, its not! What a great tasting sauce that would also be great on BBQ, any meats, breakfast or pizza. Another fantastic sauce from JAK JECKEL! 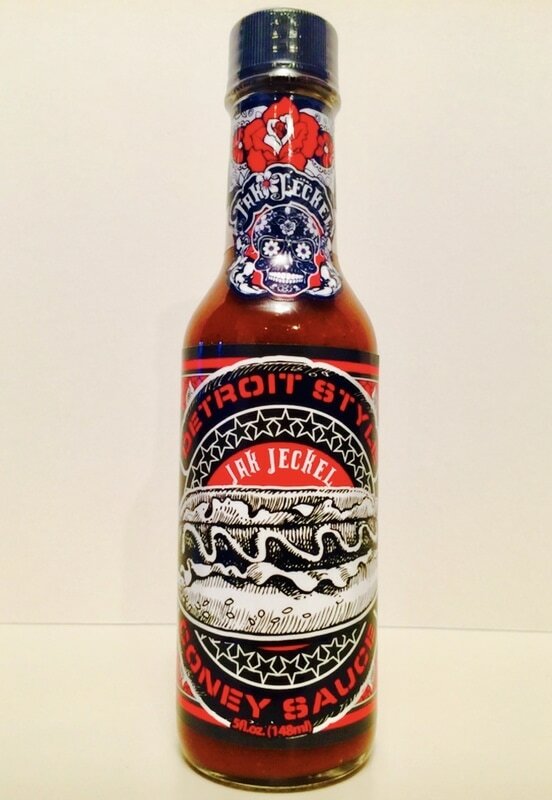 DETROIT STYLE CONEY SAUCE from JAK JECKEL.. What can I say, this hot sauce taste like your eating a coney hot dog with ketchup, onions, mustard and jalapeno peppers. Just how I like them. (YUM) It captures the true taste of the entire coney dog with a nice heat level. This sauce would be great on anything you would use ketchup on. There's really not more I can say to describe the taste, the name says it all. Its delicious, all you need are some fries. JAK JECKEL GOURMET PEPPER SAUCE by JAK JECKEL.. 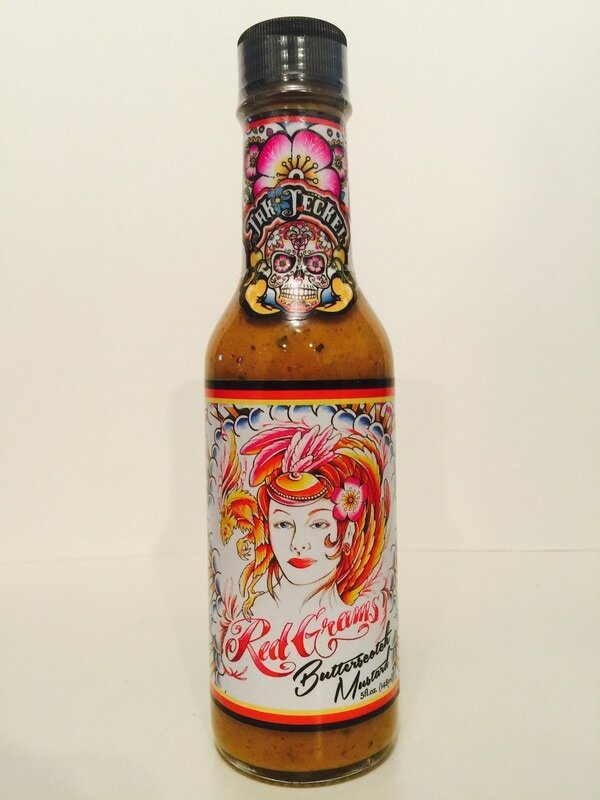 Here's a different type of hot sauce. It reminds me of a hot steak sauce and would be awesome on a steak or hamburgers, right off the grill. The flavor of this sauce bites you hard with the right amount of heat and flavor. The more I use it, the more I love it. Four types of peppers makes a very strong pepper taste along with the orange peel that gives this sauce a kick that works wonderfully with the chipotle smoke. This would also work great with breakfast on your eggs and potatoes. It has a quick burn of heat that dissipates fast. Yum!